Actresses Anna Faris and Alison Janney join the ladies of THE TALK at the table, wearing their Emmys dresses from the previous night. They chat about the Awards show and preview their new CBS comedy "Mom," Monday, September 23, 2013 on the CBS Television Network. 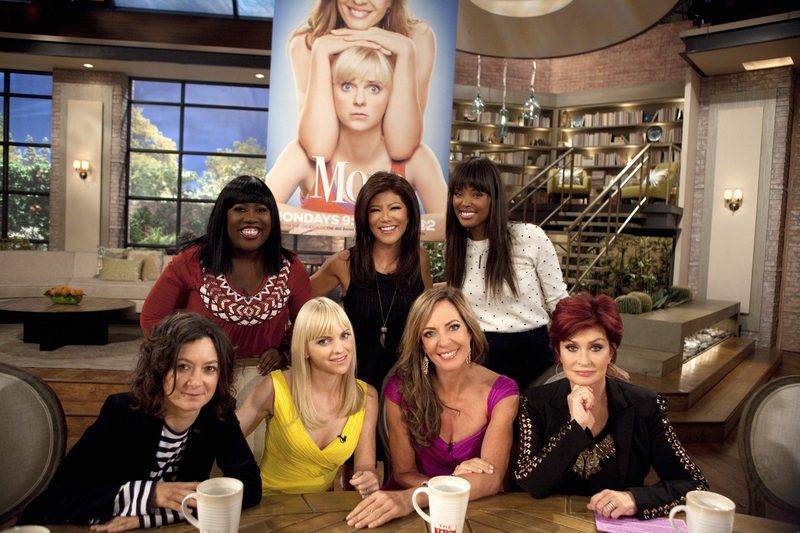 Sheryl Underwood, Sara Gilbert, Anna Faris, Alison Janney, Sharon Osbourne, Aisha Tyler and Julie Chen, shown. Photo: Lisette M. Azar/CBS ©2013 CBS Broadcasting, Inc. All Rights Reserved.